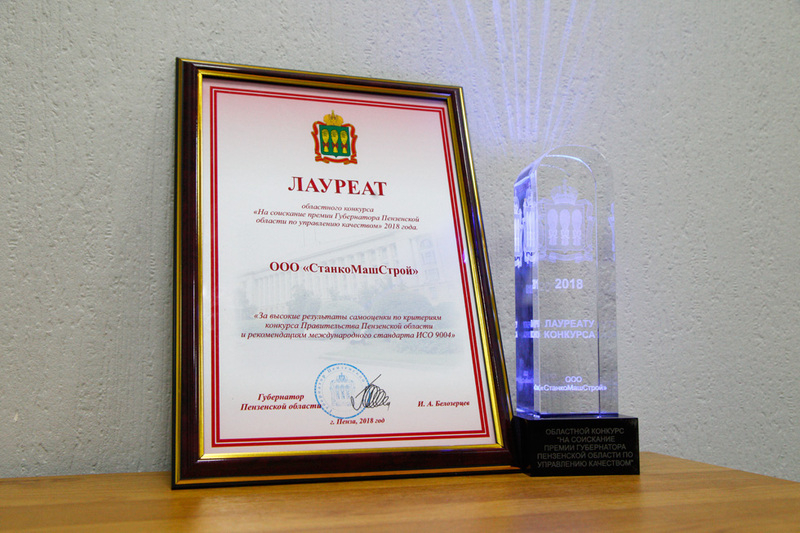 StankoMashStroy won the local quality management competition for the prize of the Governor of the Penza region. The celebration of the World Quality Day was held on December 20 in the Pilaster Hall of the Governor's House. The event included awarding the winners of the All-Russian competition "100 best goods of Russia", and the regional quality management competition. 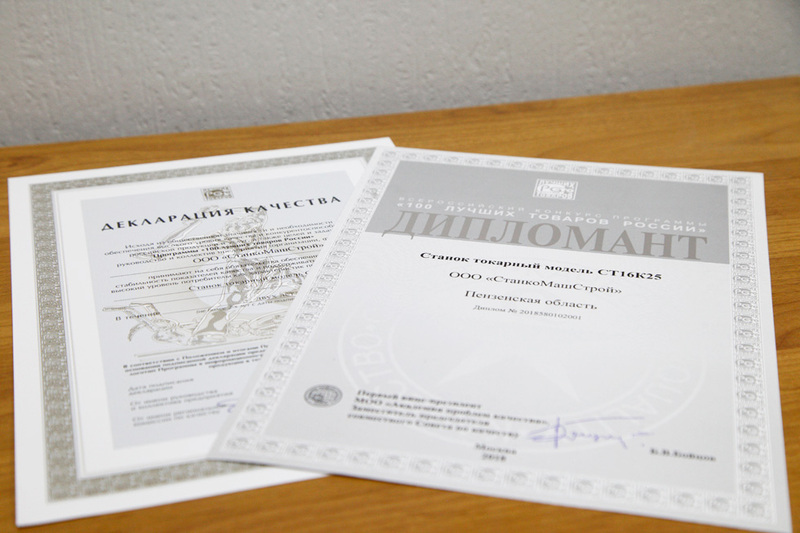 StankoMashStroy won the prize “For high results of self-assessment according to the criteria of the government's competition and recommendations of the international standard ISO 9004”. The winner was chosen based on the results of expert inspections of enterprises that submitted their reports to the regional competition. In addition, the CT 16K25 series lathe produced by StankoMashStroy became the winner of the All-Russian contest “100 best goods of Russia”. For two years, the company has the right to use the logo of a prestigious competition for this equipment. 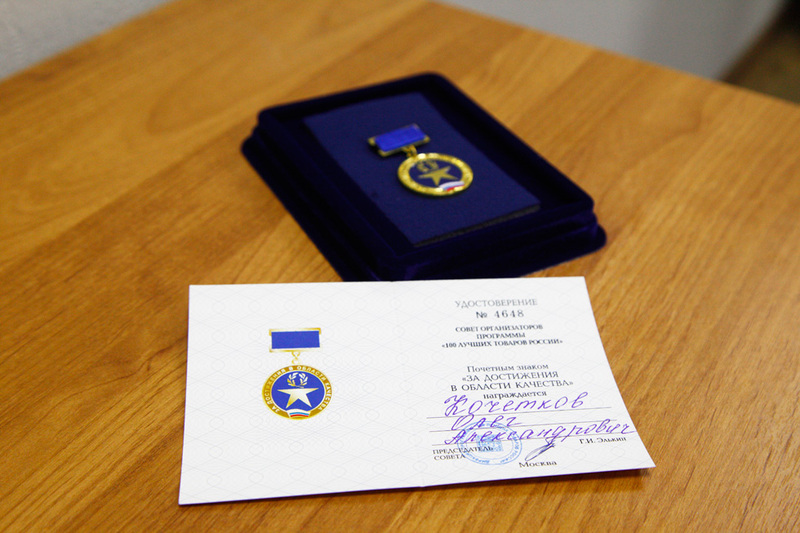 And the company's CEO, Oleg Kochetkov, by decision of the board of organizers, was awarded an honorary sign “For achievements in quality. StankoMashStroy reaffirmed its reputation as a reliable manufacturer of high-quality competitive products, highly demanded both in the domestic machine tools market and abroad. This contributes to the expansion of production volumes. Compared with 2017, the growth will be 25 percent - 200 units of equipment in 2017, more than 250 units - in 2018.